Not long ago we shared the news that Shigeru Miyamoto was preparing to unveil three Pikmin short films at the Tokyo International Film Festival. That takes place in the coming week, and Miyamoto-san has begun to talk more about the project ahead of the short films having their world première. 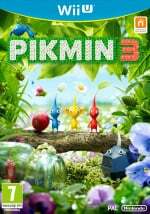 These three short films — called The Night Juicer, Treasures In A Bottle and Occupational Hazards — were confirmed a good while ago, and began development at the same time as Wii U title Pikmin 3. They've taken longer than expected to arrive, though their début in Tokyo will hopefully lead the way to broader distribution. In the press interview below Miyamoto-san explains how the project came about, and how he feels animated film and game production are closer together than ever before. It'll be interesting to see if Nintendo releases these animated short films alongside or shortly after the Tokyo showing, or whether there'll be a longer delay. We'd certainly expect them to be available on the eShop platforms, too, though whether they'd be free or come at a price is unknown. Do you like the look of these animations from the brief clips above? Let us know. They look good, I want them now! Oh, gosh, they look adorable! 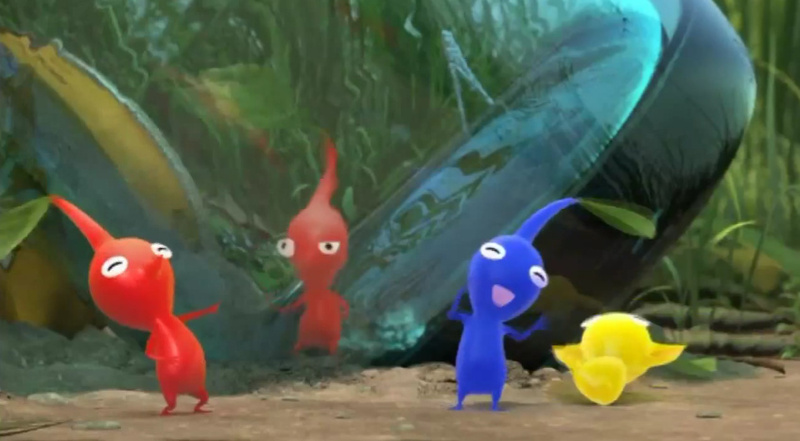 I'm not big on the Pikmin games but I look forward to the short films. Pikmin on the 3ds anyone? Cool, can't wait to see them! Hopefully Nintendo themselves will at the very least put them on Youtube. Or for free, as they can just be uploaded on YouTube and watched there. Neat! I'd really like to see them. I love the idea of watching short films about Pikmin! Bring them on! Looking great so far, I actually can't wait to see these now! It's a perfect idea. It'd be awesome if they put them on the Wii U somehow. I'm so excited! The format looks like a great fit for Pikmin! 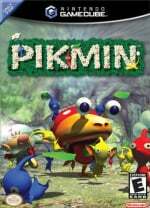 Pikmin 3 was my first experience with Pikmin, and after that I'm in in anything that involves these creatures. Y'now, I bet Miyamoto could make some great movies! I actually really cant wait to see this, nintendo and movies? yessss pls, i hope nintendo branches out and does movies aswell. Maybe anime about Kid icarus? No short movies Miyamoto! This is what needs to be done! Can't wait for these, I'm alos fully expecting either more Pikmin 3 DLC and/or a N3ds port in 2015. Looks nice. 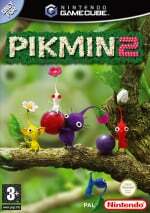 More exposure for pikmin is always a good thing. The world needs to know! @ThomasBW84 Damn it. I just spent 30 minutes no joke typing a comment, and then I lost it due to accidentally clicking something. Pretend these points are well-articulated because screw this. -Miyamoto created these shorts in Flipnote Studio 3D to show to the external animation company. -Flipnote Studio 3D was supposed to come out August 2013, that is past, and they have been acting like it never existed. -Nintendo Life is at fault for not asking what happened to the app. -If a Mario or Zelda game was released in Japan, then suddenly "delayed" and ignored everywhere else, Nintendo Life would cover that wouldn't they?? -Flipnote means SO MUCH to me and many others, due to its ease of use, community, and many other reasons. -I am beyond angry about how it's been treated. -Nintendo Life should do an article about Sudomemo. -Sudomemo is a service run by a college student, which replaces Flipnote Hatena and can be accessed through the DSi Flipnote Studio. It has 2500 Facebook likes and over 10,000 users. Yes, over 10,000 people have connected their DSi's to this "new Hatena." -Nintendo Life should do an article on Sudomemo. @Sforzando I absolutely 100% agree with you! To be honest, I know this is harsh but it is disgraceful that Nintendo has just ignored flipnote studio. If they can release it in Japan then why not release it to the west? There cannot possibly be too much translation work to do. Also, they said it didn't release due to unexpectedly high usage but they have had so much time to improve the system! There's absolutely NO excuse, even with messaging on 3ds Miiverse! @Mega719 That would be so so awesome! I had the awesome opportunity to go see the showing of the shorts and discussion Miyamoto had afterwards. The shorts were really quiet delightful, but Miyamoto seemed disappointed they didn't draw big laughs. It was an odd crowd, mostly seemed to be people who had no idea what a Pikmin was, although there were clearly some game fans sprinkled in. @123akis It is completely disgraceful. I wish they would announce it as cancelled at this point. Own your shame. But no, it's like everybody has literally forgotten about it. I would argue that it is one of the most accessible animation tools in history. I heard that the issue with flipnote studio was that there was a huge server overload even in Japan, so they wouldn't ("can't") release it worldwide. Of course, this is a pretty poor excuse, considering that they solved it for Pokémon bank and the eshop last year, within a few weeks, and it's been six whole months!!! I've even seen an early version in action, so the game is fully functioning. They should at least release the DSi version for 3DS until they solve these 'issues'. It would be better than nothing, after all. @ZenTurtle That is a pretty bad idea, since the crisp pixel drawings would look quite blurry when stretched out to the 3DS's resolution. But since the issues are with the online community, why not release it sans Gallery World? Of course, at this point in time, these "issues" are nonexistent. But that would have been nice back in August of last year. It would have given Nintendo some motivation to get the online services ready. I hope these are great, and I fully expect them to have a sense of fun because Shigeru Miyamoto exudes it. However, it doesn't necessarily translate that he'd make a good short movie. It's different skills. It's possible he's better at it than making games. Who knows? But he most certainly has more experience making games. Still looking forward to seeing them. @Sforzando We asked about the app on multiple occasions, and on each occasion got a 'no update at this time' sort of response. Not satisfactory, but if that's the line we can't march into Kyoto HQ demanding an answer, because I sure can't afford the air fare. So nothing has changed since it was delayed, that's the unfortunate reality. I'll have a look at Sudamemo in the coming week. so cutttttteeeeeeee i see the red one fell into an empty ramune bottle! @ThomasBW84 Thanks for the response, I really appreciate it. Maybe the Flipnote fans can raise some money for your airfare, haha. (We totally would though.) Anyway, sorry for ranting. You guys do a great job at NL, keep it up. Can't wait to see them. P.S. D'aaaaaw! @ThomasBW84 Also, it's Sudomemo, not Sudamemo, just fyi. Thanks!! Can't wait! Glad Olimar is in them too! @drewb0203 they tried it with Pikmin 3, as well as with the DS. Didn't work. @ThomasBW84 FS3D is listed among Devil's Third and Mario Maker on Nintendo UK's website, however. Does anybody know what the shirt Miyamoto is wearing says? Very cool. I will eagerly await to watch these. @outsider83 I'm going to guess and say "They fall when alone, but as one, they fear no one." As someone who's currently playing and loving Pikmin 3, I can't wait for these movies. However, unless they're more than just short films, I can't imagine purchasing these things. Put them on youtube! I'm sure it will be brilliant, as everything he touches usually is! @OmegaStar @ThomasBW84 @ZenTurtle @123akis @Sforzando Search on Google for Flipnote.Studio.3D.JPN.3DS-BigBlueBox. It is v1.2. I have tried it on my Gateway card and can confirm that it works perfectly aside from the fact that I cannot download the latest update because I cannot access the Japanese eShop on an American 3DS. Due to this, I cannot access Flipnote Gallery: "World" (World in quotes because the last time that I checked, there are more places in the world than just Japan). I have also decrypted it and extracted its contents. Interestingly enough, there is only one TexturePack file in the app called JPTexturePack.blz. However, there are also USTexturePack.blz and EUTexturePack.blz files mentioned in the app's code.bin file (which tells it how to operate). I am now working on some 3D flipnotes about Iwata lying to us in the Flipnote Studio 3D Nintendo Direct last year. @IpwnedU123 Have heard this news already. Lucky for folks with Gateway cards. Personally it doesn't help me, since I don't have a 3DS on an old firmware, never planned on wanting to pirate a free app.